This week I got to check out the new Container store opening at Mayfair Mall in Wauwatosa. Being in organization heaven got me thinking alot about well.. organization! Today for their store opening I picked up an acrylic cosmetics organizer. In the spirit of tidying decided I should get my makeup brushes looking pretty and clean again. I'm not going to lie, this is something I definitely don't do as frequently as I should (experts say at least once a month, depending on how frequently you use them). I'm on a constant mission to try to use less chemicals in the products I use- especially if it's something I put on my body or face (or eat, for that matter). I tried a simple, DIY method today for cleaning my makeup brush and it worked just as well as the chemical-laden stuff (& smells amazing). You may even have all the products you need around the house, so check it out! 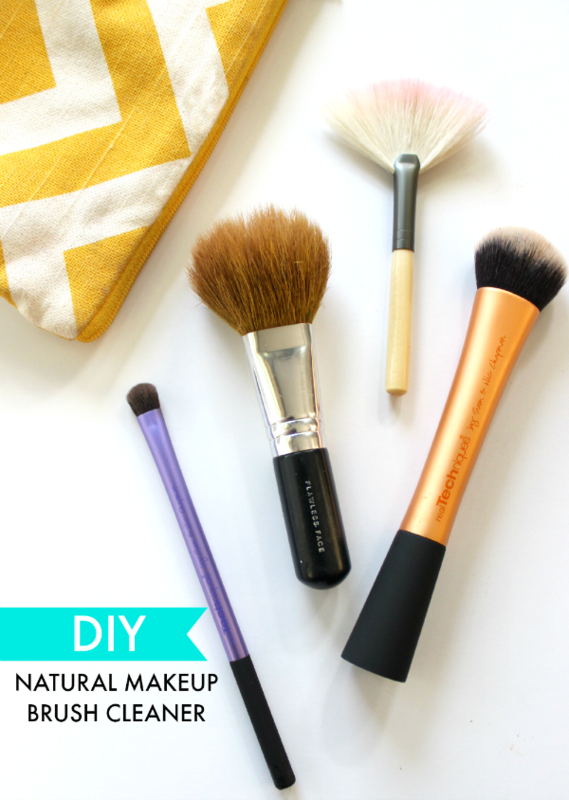 The best part about this DIY Makeup Brush Cleaners is that there's no harmful chemicals! It uses a multi-purpose Castile soap which contains all natural ingredients. You can also use it for shampoo, face wash & body wash. The one I used is infused with lavender essential oils but they also typically come in peppermint. 1. Fill mini spray bottle with Castile soap (or substitute) & spray brush bristles. 2. In a small glass swish around the brush (just as you would a paintbrush). Be sure not to get the metal "stem" wet, as it could loosen the bristles. 3. 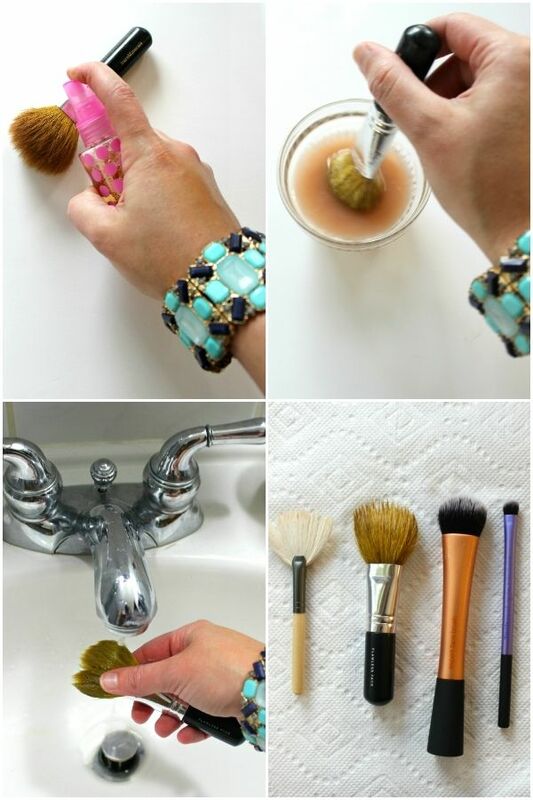 As an extra step if there still seems to be any powder/pigments left in brushes you can gently massage the brush under a running faucet with warm water. 4. Once your brushes are thoroughly cleaned blot them on a paper towel and set them out until dry! I'm so happy to finally have a super easy & natural way to clean them. Keeping them clean will be a breeze with the mini spray bottle! 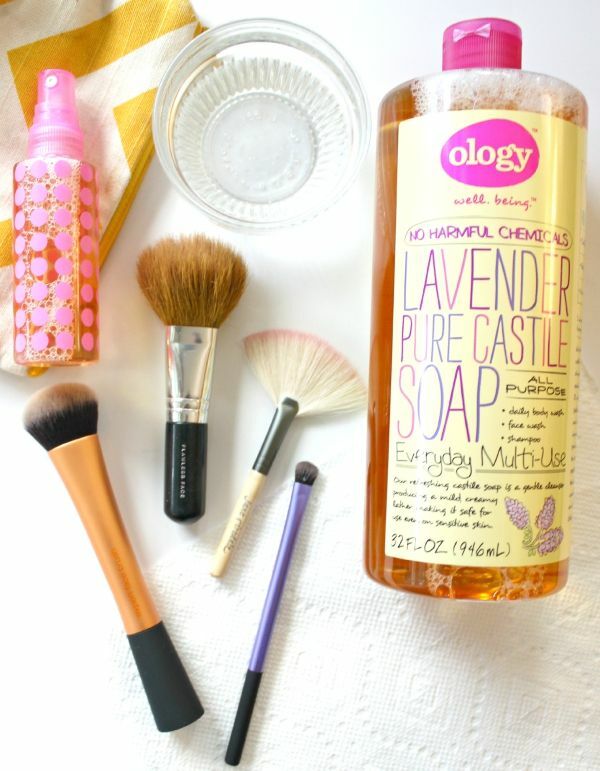 Do you have any other beauty routines you've swapped out for a more natural method? Be sure to let me know or shoot me a link @lpfashionista!